We are joining forces with the Pretty Lights crew once again to bring you one of the biggest shows of the year – another 2 night team-up of insane music and glorious revelations on the Virginia Peninsula. Expect a roadblock sell out as we celebrate our 3rd year @ Hampton Coliseum and our 4th year of Basslights! BASS HEADS COME ON DOWN AND REPRESENT! 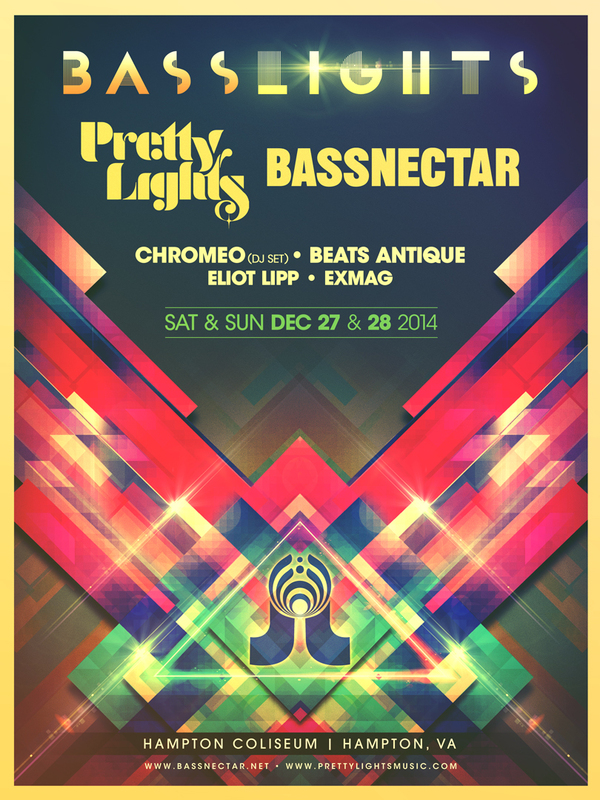 BASSLIGHTS 2014 IS SOLD OUT!!! > Totems must be constructed on a hollow cardboard tube only and must be of a reasonable height (5ft-6ft) with no items that pose a danger to public safety. Totems constructed on anything other than a cardboard tube will be denied entry.